While waiting for the gesso to dry on the next batch of commission figures I finished these chaps off. A four tube battery of 120mm mortars to support my 15mm WW2 Germans. The mortars are Old Glory. For crew I used some extra Old Glory artillerists. Pulling one of the limbered mortars is a Battlefront Opel Blitz truck. The extra ammo boxes are from RAFM. They had been languishing half done for a really long time, since heavy mortars aren't a priority. But I managed to bang them out in about 40 minutes or so while glue and gesso dried on some more Ottomans for a friend. I've also gotten the next installment of my 15mm SYW Austrians ready for paint too. Some Old Glory cuirassiers, a squadron each of Lancashire dragoons and hussars, a few extra generals and casualty markers and on the extreme left (already sporting their brown base coat) are some diminutive civilians from I don't know who. A friend who does very little in 15mm and nothing at all in horse and musket had them and passed them along. And here`s what`s been taking most of my time right now. A horde of 15mm 18th century Ottoman Turks. First off are some Anatolian auxiliaries with Janissary command. Just started are some more regular looking European auxiliaries. The city installed a solar panel across the street from me. In a fine display of NIMBYism, the woman next door doesn't like it. I'm not overly worried by having my view of the community center parking lot blocked. If it helps the city generate some money and keep my taxes down than they can put a few more up. Give me a cut and they can use my lawn too! I just hope it doesn't reflect light into my windows on sunny days. Many of my days are spent playing Tetris with skids of stock; shuffling things around to try and make more room in the back or gain access to the walk-in freezer and dairy cooler before the refrigerator truck shows up with 5 skids of sour cream, meat and frozen baked goods (sometimes all mixed together on the same skid just for added fun and challenge!). There are other perils to the job though besides deadly games of Tetris. The retail food industry has shifted somewhat. 20 years ago, grocery stores made good money and could afford to pay quite well (midnight stock crew were getting paid almost as much as I’m getting paid now). Now all the money is made by the corporations and the stores are being squeezed. Sobey’s or Zehr’s of course owns the stores and takes their cut of sales. But they also make money running the warehouse and acting as the distributor to those stores. For the store brand products they also make money off of the manufacture and sale of the Compliments or President’s Choice products to the warehouse. Which is why they push the store brands. Even though they’re cheaper, they make money on them at every stop along the supply chain from manufacturing, to wholesaling to retail sale. Plus when things go on sale in the flyer they will just allocate so many cases to you based upon ‘sales history’ (or what they’d like the sales history to be). You can try and cancel allocations but the stuff will show up anyway, because they want to sell it to the store. They don’t really care if the store can’t unload the product; they’ve already made money on it wholesaling it to the stores. The other week a particular slow-moving brand of cereal was going on sale and I thought "Great! Now I can clear it out." Nope. Three more cases show up on the next truck. It’s a bit like if the Mafia were running things. I’ve got a case of cookies you can’t refuse…. Also everything on the front and back page of your weekly sales flyer, plus basics like milk and eggs are being sold at a loss to get you in the door. In a town like mine with three big grocery stores plus ours, plus Shopper’s Drug and Giant Tiger selling groceries, folks can just live off the front and back page sales. Shopper’s Drug and Giant Tiger and Wal-Mart sell all of their groceries at a loss, in the hopes that while you are there, they will make their money off of selling you some clothes or cosmetics or electronics which they are retailing at a 400% margin (so even during a 50% off sale, they’re still making some money). The Boss informed me the other day that we lost $45,000 last year on milk, selling it below cost. If we could just sell it at cost I could be paid $20 an hour! If we made a small margin on it we could maybe afford to get that fourth compressor the refrigeration system needs so it doesn’t break down in the summer during ice cream sales. I remember back when I ran a book store and the articles in Quill & Quire or the Canadian Booksellers Monthly moaning about only making 40% margin. If I got 40% on everything in the Buy Food I’d be hailed as a God among Grocery Managers. I’d be paraded around Head Office in a golden palanquin and offered my choice of nubile administrative assistants to be my concubines. As it is, anything over 20% is pretty good. Fortunately, no one has yet figured out a way to digitize groceries for free download or move the retail operation to China. And people will always have to eat. Otherwise I usually like my job, although the teenaged stock boys can be infuriating at times. ﻿As promised here are the pictures of the latest additions to my 15mm SYW Austrian army. I've added two battalions of Pandours to the order of battle. The ruffian in red are from the Carlstadt Liccaner Grenz Regiment and the chaps in blue are from the Carlstadt Szuiner Grenz Regiment. I based them on 1 1/4" washers to make them look more like a cloud of irregulars. Better. But they still look a bit regimented, which is symptomatic of the limited Essex sculpts. I went with the earlier War of Austrian Succession uniform regulation and gave them red waistcoats to match their facings. I had to reinforce firing line figures where the musket joins the hands with some epoxy glue. It's a weak spot. I have a whole battalion of kneeling figures with broken muskets. So with the Bavarians at 5 battalions I now have a total of 11 battalions and 4 guns to face Frederick the Great with. Some cavalry will be added next. A big gaping hole in my collection of terrain is bridges. Especially for WW2. The campaigns in Holland seemed to focus on bridges a lot and the numerous waterways made capturing or defending these extremely important. But your standard wooden or arched stone bridge from ancient or horse and musket gaming isn't going to suit the requirement of being an important objective (I'm lacking in those too, but that's another day to spend with some card and glue). There is a nice Model Railway hobby store in north London (Ontario) called Broughdale Hobby that I try and go to for my terrain needs. Their prices on Woodland Scenics products are usually very good. Last year I was there and picked up an Atlas Models HO scale truss bridge for railroad layouts for $8.00. I made the canal side retaining walls from the flexible rubber cobble stone road sections sold for those Christmas Village sets you see in the department stores. Here's some of my new Canadian vehicles trying it out. Presumably the sappers have already removed the German demolition charges. It spans the big resin river I made for 25mm Medieval armies quite nicely. I think my small force of Fallschirmjaegers will be defending this quite soon! 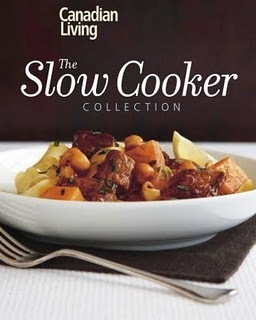 I never thought my wife would take to slow cookers. We were given one as a wedding present many years back, but it always gave off a hot electrical smell, so she never trusted it to leave it alone, which rather defeats the purpose. But with our change in life style she revisited the idea and bought a nice 4 litre Bravetti and started trying it out with (mostly) good results. So for Christmas she wanted the Canadian Living Slow Cooker Collection. 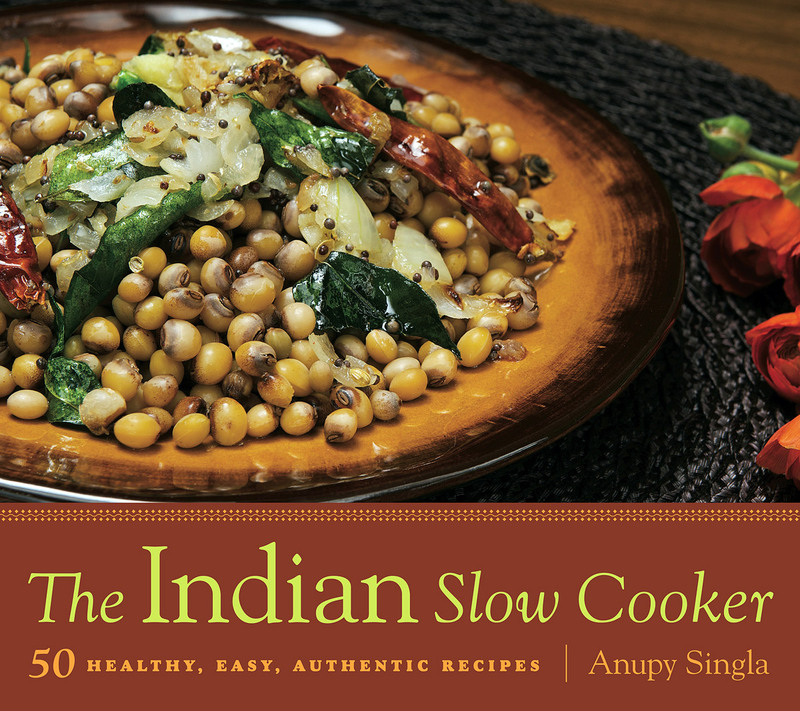 The Indian Slow Cooker by Anupy Singla. My wife really likes Indian food (we made our own paneer cheese a couple of times to make sag paneer). So this seemed perfect and we got her both books (which she dutifully did not open until Christmas morning). As Mrs. Singla points out, Indian cooking is actually very suitable to the North American slow cooker. 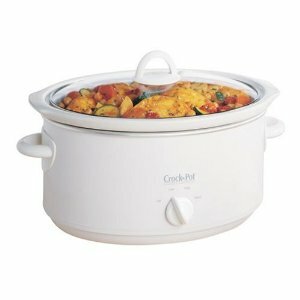 The slow cooker technique has also removed much of the slaving over a hot stove that my wife encountered when trying to make a multi-dish Indian meal. Traditional Indian cooking is very labour intensive and it's no wonder Indian households still employ kitchen servants for all the chopping and stirring and pot minding. My wife has me, when I'm not at work. But she's really taken to The Indian Slow Cooker and while reading it, she realized that many of the recipes required a bigger cooker. So she found a 5.5 L Crock Pot on sale and brought it home. Last week I came home to find the house filled with wonderful, amazing scents. My wife had both slow cookers running happily on the counter top! One was filled with nihari which translates as "Old Clothes". It's also called 'Pakistani pot roast'. It is a spicy pulled beef which is excellent topped with some plain yogurt and heaped on pieces of naan bread or scooped up with roti (flat bread). I think the left overs stuffed into a hamburger roll with a bit of yogurt to make a spicy Indian pulled-beef sandwich will be excellent too. The second cooker had aloo gobi in it. Aloo gobi is curried cauliflower and potatoes. This is a great way to have cauliflower. Better, in my opinion, than cauliflower with cheese sauce. The next day she fired up a slow cooker again to produce rajmah, a spicy dish of kidney beans, to go with the left over nihari and aloo gobi. Topped with yogurt and chopped cilantro it was a good side dish. 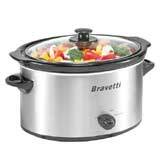 The slow cookers do an excellent job with the beans and lentils so prevalent in Indian cooking. After three days though we had to pack the left overs (enough for at least two complete meals) in the freezer. 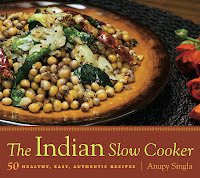 I'm eagerly looking forward to trying out Mrs. Singla's chana massala (curried chick peas) recipe. My wife still hasn't made anything from the Canadian Living book yet though! The "Mississauga Dragoons" have been given their colours. Their owner commissioned a flag from The Flag Dude and picked it up at Fall-In. He just sent me some pictures of the completed Ensign this morning. Had a good day in the Basement o' Rabbits yesterday. I got a battalion of Croatian Pandours and a battalion of German musketeers done and based! Once I get the second battalion of Pandours finished I'll flock the bases and get some pictures for you. I'm thinking I may try a bit of static grass on this army instead of my normal mix of foam flock. I based the Pandours on 4x 1 1/4" washers. 3 figures to a base. This gives them roughly the same frontage as a musketeer battalion but looks more irregular and skirmishy. That is something I like about Black Powder, the liberation from strict basing schemes and the ability to be more creative. The way skirmishers are based in Warfare in the Age of Reason leaves me awfully cold. I intend to rebase my Prussian jaegers in the same way. I know they're Prussians, but they just look too rigid to be skirmishing. At the Long-Expected Party, a gaming friend who is also a Hotlead dealer was blowing out his stock of Lancashire figures. I had budgeted $20 to hopefully get the needed bits to round out my Austrian army. And told me: "One dollar a bag or for $25 you can have the lot and keep the tin too!" So I bought the lot and have duly sorted and inventoried them. The tin contained most of the Lancashire SYW line. About 100 bags. Sadly the troops I need the most (Dragoons and Hussars) were among the figures not in stock, but if I use figures from the other armies (in 15mm does a French or British cavalryman really look that different from an Austrian dragoon?) I can muster some 50 dragoons, 18 hussars and 30-odd Cuirassiers (like I need more of them, but the Lancashire figures look nicer than the Minifigs). There's also a nice selection of General officer types, Austrian jaegers, German and Hungarian musketeers, artillerists and 30 more grenadiers. The Lancashire range includes a pack of 'musketeers charging' which I'm thinking might be nice to make a battalion of Loudon's Freikorps. The one thing really lacking from the range, which probably impacts sales, is there are no guns. I suppose they expect one to use their Napoleonic artillery? Fortunately I have enough artillery to keep the Austrians happy for a while. Happy New Year! Looking forward and back. Well last year turned out much better than it began; unemployed, out of funding, massively depressed. Now I'm making a bit more than minimum wage, have benefits and a job that even if it doesn't pay that great, treats me pretty well and looks good on the old resume. I think for a New Year's Resolution I'd like to continue this upward trend. Since no has yet figured out a way to digitize groceries for free download or move the retailing off shore to India or China, I think I may persue this career path that I've stumbled upon. Gaming wise 2010 rather sucked. I think I've posted all but one of my games on the blog here, so I haven't really played that much. Once upon a time we got together EVERY Saturday night and played card or board games when no one could summon the enthusiasm to organize a miniatures game. So I'd like to game with my friends more this year. Since my schedule has settled down and I'm no longer doing the weekend midnight thing that should be possible. I'd also like to get my thumb out and paint more. I've got a couple of pretty big commissions to work on plus my own projects. Interleaving a unit or two for me inbetween commissions, or piggybacking similar troops when a customer wants something that I am also building, seemed to work OK last year. I'll keep chanting No new Periods! No new Scales! as my mantra for now. So 28mm Napoleonics and 15mm SF will have to wait for a bit. Besides 15mm SYW will scratch my horse and musket big battle itch and 15mm WW2 will scratch my tanky itch. I won't promise to not buy/acquire in trade any new lead though. I do need some supports for the FJ and I need supply trains and artillery limbers for my SYW armies. But otherwise I'll try and keep my purchases focused on terrain. My villages are lacking in churches and for some reason I have a massive desire to do a snow table like this one.